This Faucet Cartridge Valve is designed with durable brass construction, gold tone color. 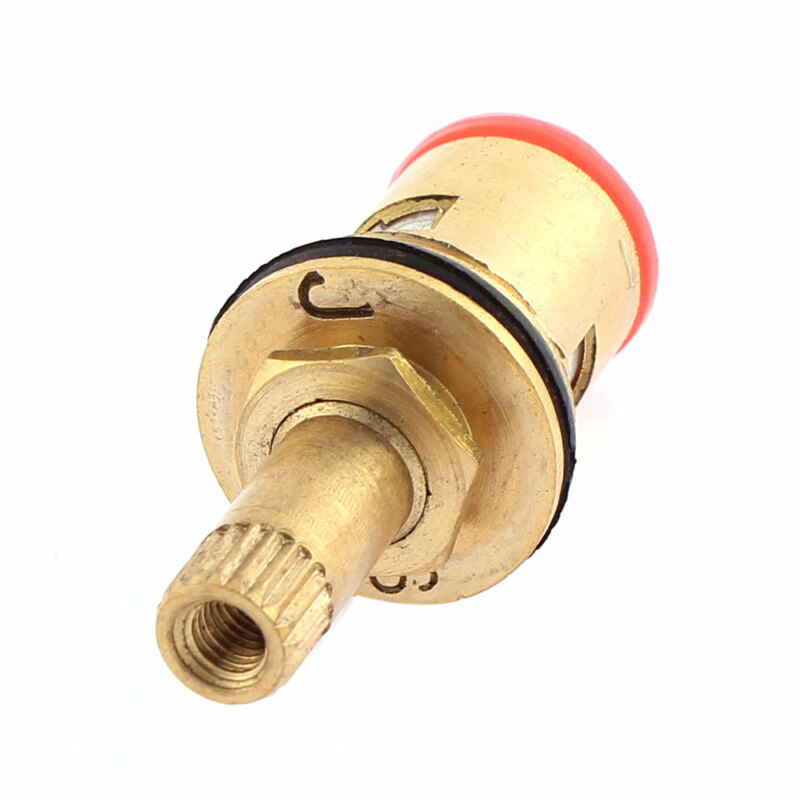 An ideal Brass Cartridge Valve for faucet. Male Thread Diameter: 20mm/1/2BSP; Red Ends Inside Dia: 8mm/0.3"
Nozzle Thread Inside Diameter: 4mm/0.2"; Joystick Outside Diameter: 8mm/0.3"